During World War II, the United States created the largest and most powerful navy on the planet. But while its aircraft carriers, battleships, cruisers, and destroyers got the glory, there was another vessel whose role in the Allied victory over the Axis was equally crucial. 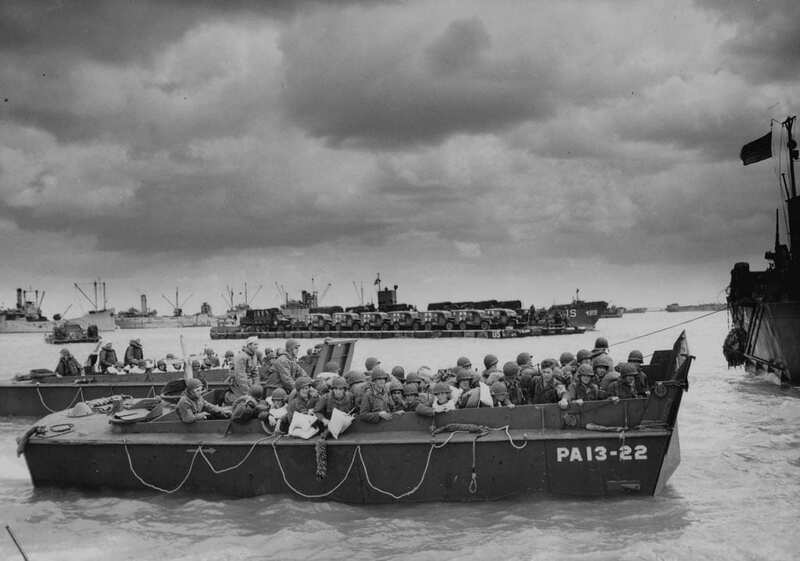 That vessel was an ugly, rectangular, shallow draft craft designed to carry and deposit onto hostile shores troops and small vehicles: the Landing Craft, Vehicle, Personnel (LCVP) – also known as the Higgins boat. Approximately 20,000 LCVPs were built during the war, and they proved to be one of the most rugged and versatile boats ever created. They deposited troops, vehicles, and equipment on every type of beach imaginable: shores made of sand, volcanic ash, and rocks; on coral atolls, islands, and continents; in locations ranging from the tropics to the Arctic; and on beaches sometimes free of opposition and obstacles and at other times heavily defended. 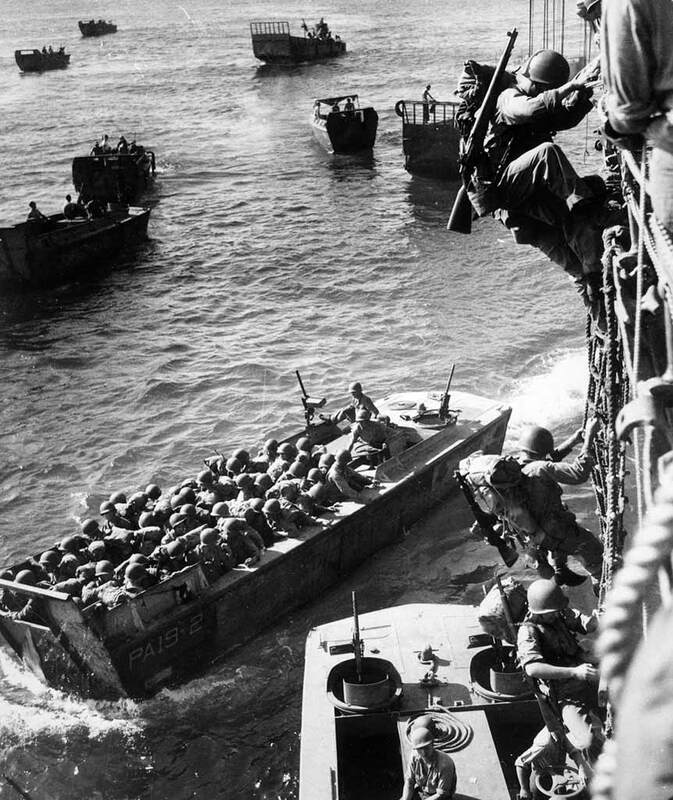 Dwight Eisenhower, who commanded amphibious landings in North Africa, the Mediterranean, and northern France, later said Higgins’ boats “won the war for us.” Yet if the Navy’s Bureau of Ships, responsible for all vessel designs, had had its way, Andrew Jackson Higgins’ boat would never have gotten past the drawing board. In 1926, Higgins designed the Eureka, a shallow draft boat for use in the shallow waters of the Mississippi Delta region. One key element of the boat’s design was a hollow tunnel that protected the propeller from sandbars and sunken obstructions. Thinking the Eureka might have a military application, Higgins offered it to the Navy – and was turned down flat. The Bureau of Ships didn’t care about a radical boat design by some parvenu hick from the swamps of Louisiana, far from the traditional shipyards in the east. 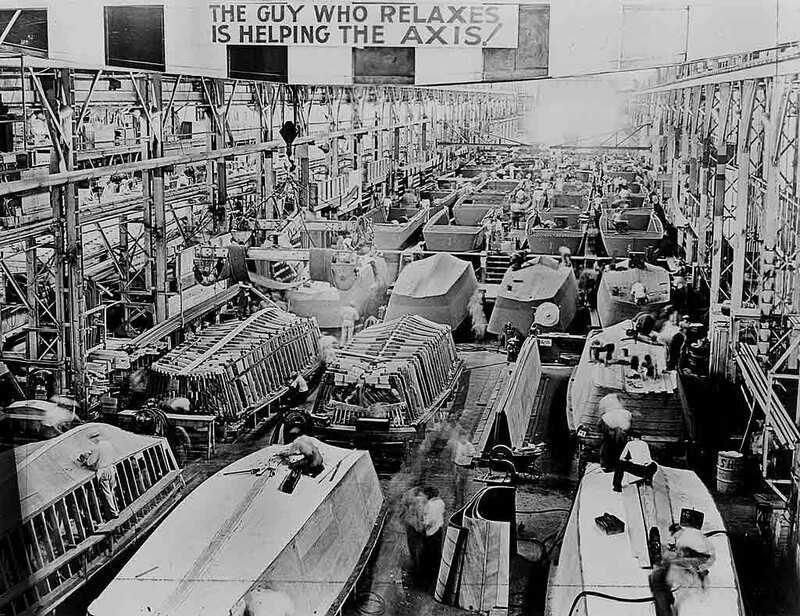 Yet Higgins persisted, and in 1938, he was offered $5,200 to design a prototype landing craft and allowed to compete against three other designs. Higgins’ actual construction cost was $12,500. In addition, he had to pay transshipment and unloading costs to Norfolk, Virginia. But Higgins saw his chance, and he took it. Marine Corps leadership was not impressed. They had been battling the Navy for years, trying to get a successful landing craft. They saw in Higgins’s Eureka the answer they had been searching for and, seeing in Higgins a kindred spirit, backed him to the hilt. Higgins returned their esteem with verve, and a warm relationship, quickly established, would grow over the years. Of the four designs, Higgins’ boat was the only one with a flat bottom, blunt bow, and protected propeller. The other three had V-shaped hulls, high gunwales, and sharp bows. Higgins’ boat outperformed them all, successfully operating in calm waters and five-foot seas. But the Bureau of Ships refused to give up. A final test was scheduled for 1940. The bureau scrapped its failed V-hulled designs, stole some design elements from the Eureka, and began building a whole new boat. The Marines had suggested some modifications to Higgins, one of them being an increase in the boat’s length to 36 feet. This became a major sticking point. Navy bureaucrats insisted the boat be 30 feet long. The two sides went round and round for weeks on the subject. Finally, Higgins demanded to know why it had to be 30 feet. When told davits on Navy ships were standardized to handle 30-foot boats, an exasperated Higgins responded, “To hell with designing a boat to fit the davits! Why don’t you design davits to fit a proper sized boat?” When Bureau of Ships bureaucrats threatened to reject Higgins’ new design, the Marine Corps intervened and got them to accept it. The final competition was conducted on Sept. 11, 1940. It turned out to be no competition at all. While the Higgins boat easily completed all the tasks, the Navy’s design couldn’t even get to the beach. Higgins won and, on Nov. 18, 1940, was awarded the contract to build LCVPs. Additional elements, including a bow that could be raised and lowered, were later incorporated. Variations included boats that could carry tanks and larger cargo.